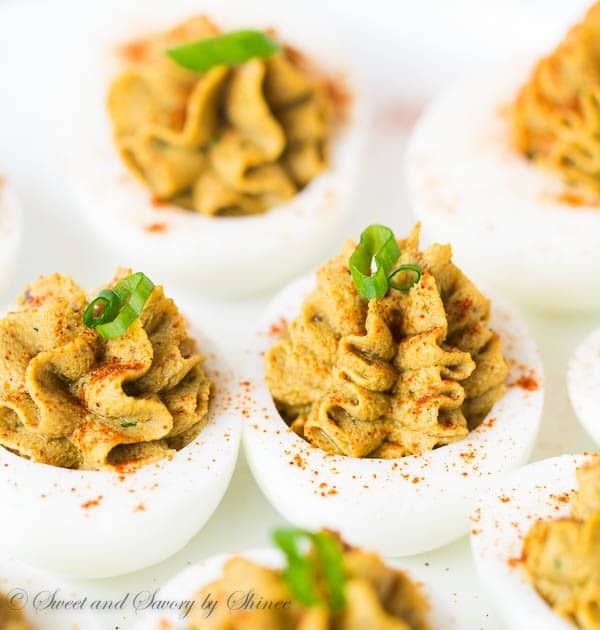 These gourmet chicken liver pate deviled eggs are made to impress. Unbelievably easy and delicious! I have to credit my MIL for this genius idea. 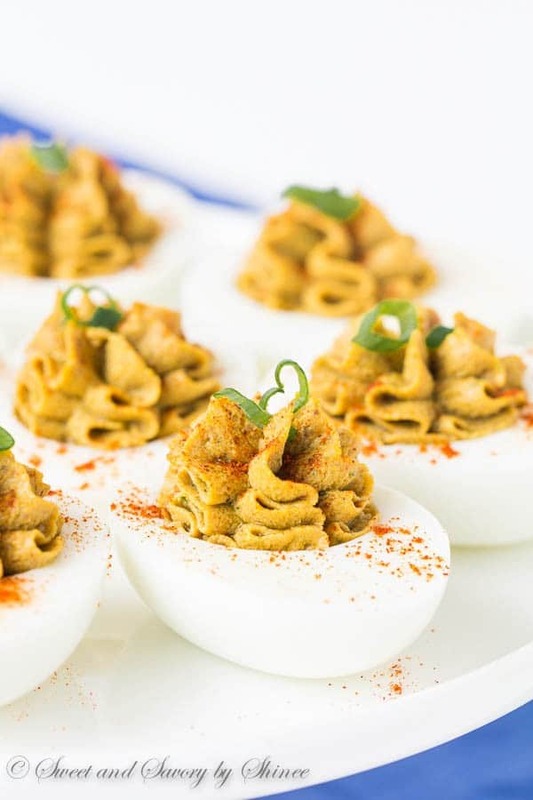 Couple weeks ago, while we were brainstorming for unusual deviled eggs flavors, she came up with this delicious and completely off-the-wall idea. And I loved it! Chicken liver pate is not my everyday favorite, but I’ll never turn down a good pate. When done right, it’s rich, smooth and undeniably exotic. And you really don’t have to like liver to love this version of deviled eggs. 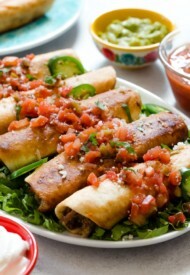 The flavors meld together perfectly and you will definitely impress your guests with these. If the title is a bit unappealing to you, we can call it Deviled Eggs with Pate ‘de Foies de Poulet. How about that? Fancy enough? Let’s talk about the eggs now. Our chickens at the ranch are popping eggs left and right. So I’m not buying any eggs from the store. You might be wondering if I age my eggs to make the deviled eggs? And guess what? I don’t. I just use them right away, even if they are as fresh as 2-3 days old. As I had shared previously in this post, I steam my farm fresh eggs. I don’t have any scientific, or non-scientific explanation as to why, but it works every time. And I will share another secret on how to peel the hard-boiled eggs with minimal damage. Even old eggs can be a pain to peel, right? So here is what I do: softly tap the cooled eggs on the counter to crack the shell all over. The entire shell should be shattered. Don’t peel just yet, instead put it back into the bowl of water. Then once you have cracked the shells of all the eggs, pick up the very first one you did and carefully peel the shell. What happens is that water gets under the white thin membrane, making it super easy to peel. You have to try it to witness the magic. Now onto the chicken liver pate. Just because it’s a gourmet food, it doesn’t mean it’s complicated to make. Completely opposite, it’s super easy to whip up a batch of this delicious chicken liver pate. You might be wondering why we need to soak the liver in the milk. Seems such a waste of milk. Not at all, it helps to reduce the gamey taste of the liver and it doesn’t taste strong. Hence, I’m claiming you don’t need to like liver, in order to enjoy these deviled eggs. To make the pate, I adapted this recipe by Emeril Lagasse from Food Network. It’s an excellent recipe. Oh, and these beauties were such a hit at the ranch! Everyone love it, and I have to make more. Hope you give them a try. Happy weekend! Soak the liver in milk for about 30 minutes. This helps to reduce the gamey taste of the liver and it doesn’t taste strong. Meanwhile, bring a pot of water to a boil. 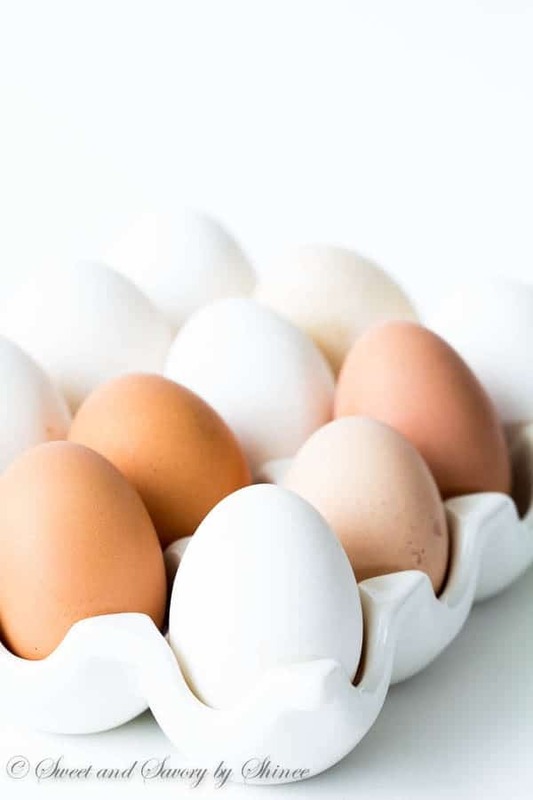 Place the eggs in a steamer and steam over boiling water for 15 minutes. Then submerge the steamed eggs in cold water until cooled. Then peel the eggs, cut in half and separate the egg yolks. In a medium skillet, melt the butter over medium high heat and add minced garlic. Cook until fragrant. Drain the liver and add it into the skillet. Season with thyme, salt and pepper. Cook the liver on both sides until browned, about 2 minutes on each side. Add sherry wine and cook until the most of the liquid is evaporated and liver is fully cooked. Then place the cooked liver, chopped scallions and lemon juice in a food processor and pulse until smooth. The chicken liver pate is ready. In a medium bowl, combined the chicken liver pate, egg yolks and mayo. Mix well. Transfer into a piping bag with star tip and pipe the filling into the egg whites. Garnish with thinly sliced scallions, if desired. Serve immediately. 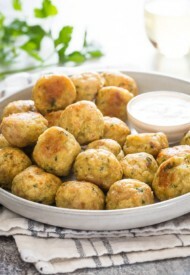 Pate ‘de Foies de Poulet => best idea ever! I love the flavor of chicken liver but never wrote about it, because the name sounds not so appealing. Apparently you found a wonderful solution! Yeah, it doesn’t sound appealing, even to me. But it’s so good! Thanks, Maggie! Sooooo….I probably should not admit this, but I am not a huge fan of traditional devilled eggs. But this….I could eat a dozen of these in one sitting. 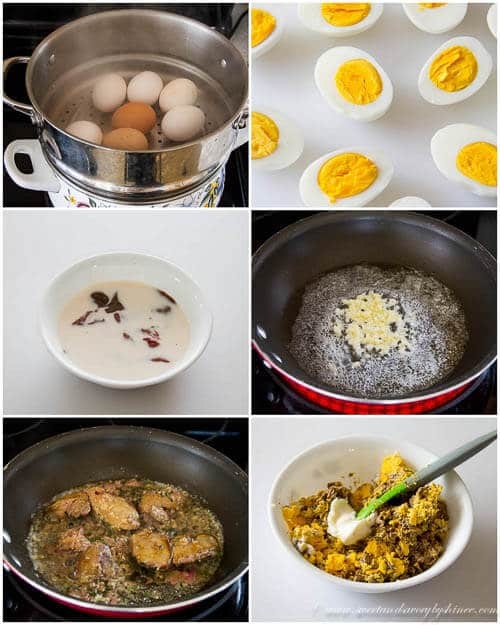 GOURMET devilled eggs! YES! I’ve never had a desire to try pate, but you make it look and sound absolutely delicious. Love your presentation! I love unusual deviled eggs flavors!!! I made some kimchi deviled eggs with gochujang (Korean hot pepper paste). . delicious!! love these chicken-liver-pate-deviled-eggs!!!! WOWZA!!!! 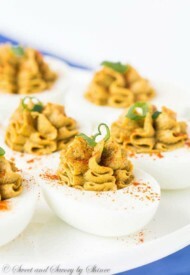 Oh my, Alice, kimchi deviled eggs sound amazing? Is the recipe on your site? I’d love to check it out. We love kimchi. This is something I would have never thought of – how very original! 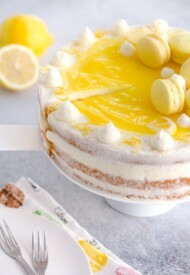 The photos are lovely and this is just perfect for Spring/Easter! Thank you so much for sharing!